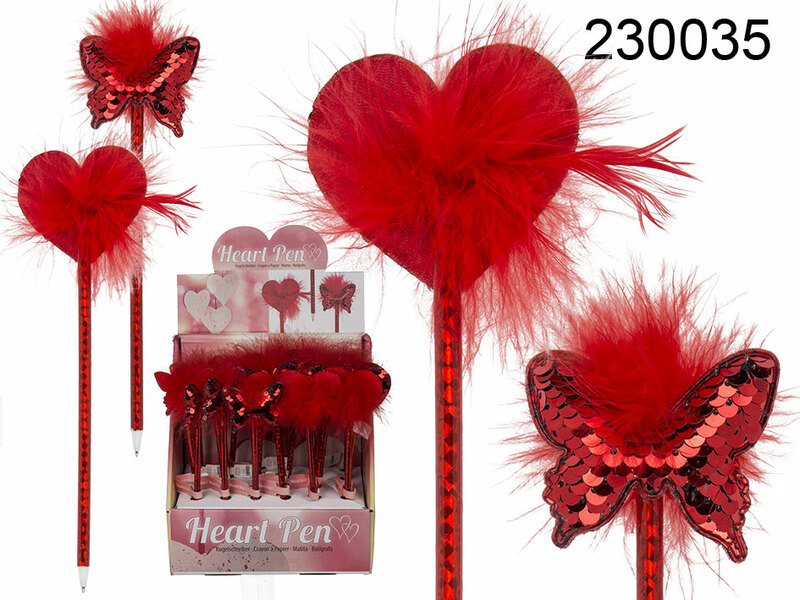 Cheerful writing tool that makes you smile - with a heart or a butterfly covered with sequins and feather-like fluff. The pen itself is covered with shiny foil film. Colour of the ink: blue. Assorted. Display stand contains 24 pieces.